Surround yourself with love! Have you seen some of the new home décor items available in our online store? 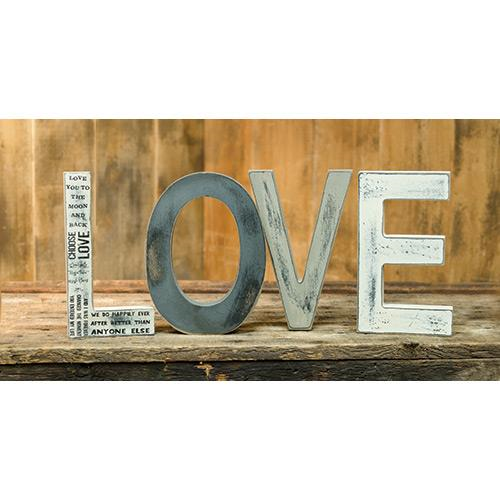 We are totally enamored with these LOVE Wood letters, shown above. Each letter measures 8″ tall and looks great on a shelf, mantle or counter. The monochromatic color scheme of these letters is perfect for seasonal or year round decor. 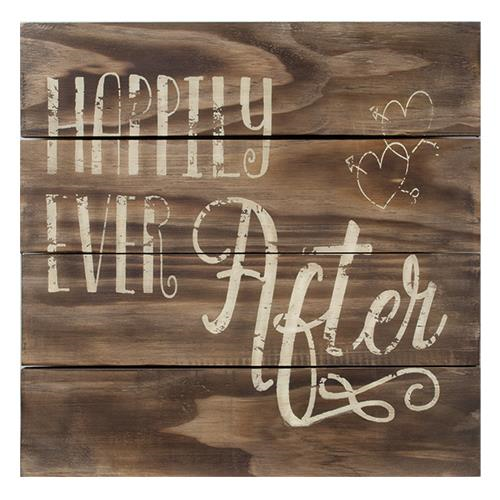 Wooden Sign that reads: Happily Ever After. Will make a beautiful wall accent. This sign measures 15¾” square. 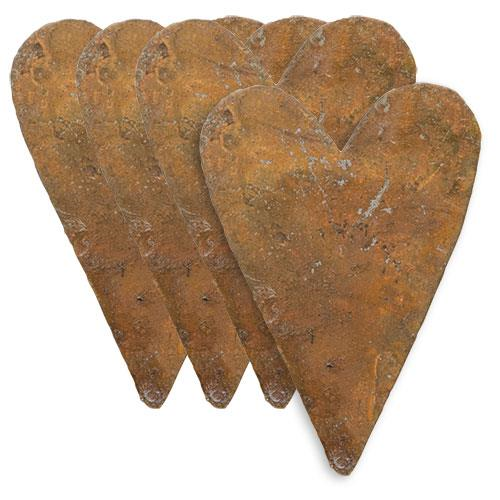 4 pack of 2-1/4″ Rusty Tin Hearts. Use them in your mixed media, crafting & scrapbooking projects. Tile all four together in a frame for a rustic home decor piece. Free standing 8″ tall, L O V E wood letters. Adorn your mantle or shelf with this show of affection. Rustic and gorgeous! This entry was posted in Home Decor, New Seasonal & Special Occasions and tagged crafts, hearts, Home Decor, love.